Missional ecclesiology began in part with a ‘Copernican revolution’ in missiology itself. Traditionally, missiology was itself founded on Christology: the churches saw themselves as participating in Christ’s mission by sending missionaries to ‘all nations’, in fulfilment of the Great Commission (Matt. 28:18-20). 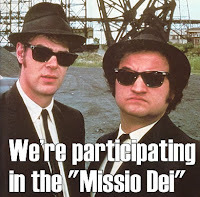 At the meeting of the International Mission Council (“IMC”) at Willingen in 1952, missiology was reoriented, in a Trinitarian form, around the ‘missio Dei’. 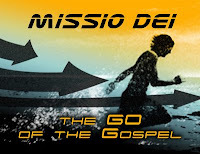 The 'missio Dei' looks first at what God is doing in the world, and only secondly at how we respond to, and co-operate in, God's action in the world. The Triune God was on a mission in the world, building his kingdom. The church, as both the first-fruits and agent of that kingdom, is to participate with God in his mission. 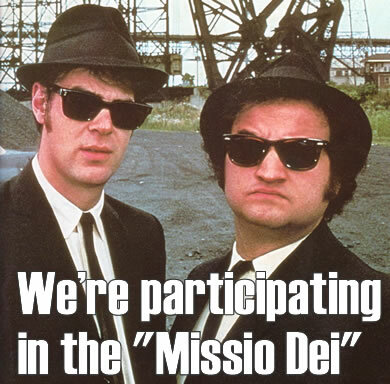 This theme was developed and advanced by Lesslie Newbigin and the Commission on World Mission and Evangelism of the World Council of Churches, which absorbed the IMC in 1961. This focus on the Trinity provides the theological basis for the missional impulse of missional ecclesiology. The Triune God is dynamic – he is actively building his kingdom in the world. Therefore, his community must be a dynamic community. They, too, must be active in the world, building God’s kingdom, by advancing the Lordship of his Son, under the direction of his Spirit. [T]he church is understood to be the creation of the Spirit. It exists in the world as a “sign” that the redemptive reign of God’s kingdom is present. It serves as a “foretaste” of the eschatological future of the redemptive reign that has already begun. It also serves as an “instrument” under the leadership of the Spirit to bring that redemptive reign to bear on every dimension of life. So, according to this view, any community that does not share this Triune dynamism has lost touch with the Triune God, and is therefore not a true church.